Unifies all marketing activities in one platform. It is a mobile measurement company that gives you better customer insights. It has attribution feature using which you can track all marketing channels to measure your campaigns. 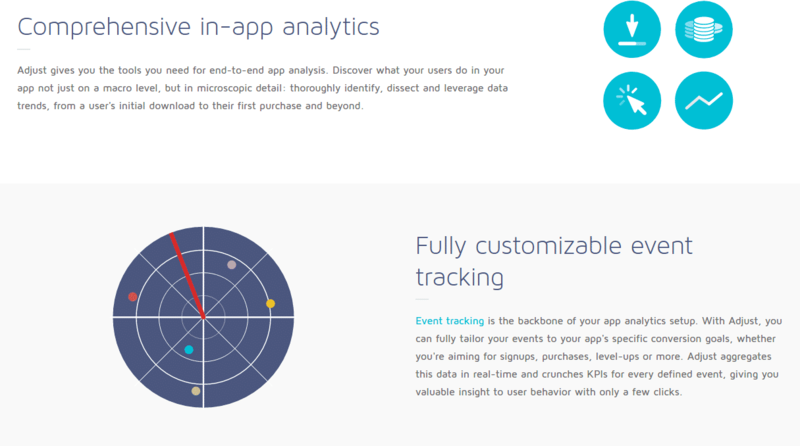 Comprehensive in-app analytics tool of this software will help you to discover user behaviours and KPIs in real-time. You can retarget and discover new users and can control your audience segments by using audience builder feature. In addition, it has fraud prevention suite to prevent mobile ad fraud in real-time. This software has highly customizable dashboard which combines the data gathered from multiple platforms and campaigns into a single tool. How much does Adjust cost ? Adjust provides a custom pricing for their software. Contact Adjust to obtain current pricing. "Adjust is a bit overprices"
Adjust offers me a clean, intuitive end-user experience wherein I can put in the marketing campaigns I already have and monitor the analysis. It's not easy to find a particular segment. What I like about it is that it works with any third party campaign source channels, like Google, Snapchat, SoundCloud etc, and see which is the most beneficial to me cost/expenditure wise in acquiring new users. I can track the real-time user behavior within my application with visualizations and follow any in-app microtransactions or subscriptions made by the user. "Basic, Intuitive Platform but Lacking in some areas"
The overall look and feel of the site makes it easy to navigate around, find what you're looking for, and manage needs for your business. There is some robustness lacking in the site. As a network partner, there is very limited view ability (you need to be granted access) and even then you aren't allowed to edit anything. It basically just serves as a data hub. If you're looking for a basic, affordable product that still gets the job done then go with Adjust. If you're quite tech savvy and looking to make updates / changes frequently and on the fly then this product might not be for you. They've built a great measurement product with a strong foundation that complies with privacy laws and protects against fraud. "Few features are good enough but seems too costly in comparison to other tools"
Fraud protection algorithms were updated as per the market need. They don’t store the data and also no granular reports available on the interface. I was using adjust as a MMP for tracking. We used frad tool of adjust and that was really useful. "Great MMP platform for measurement"
Capability to pass down the data and measure the performance with pre bundled settings. There are also a couple of integration capabilities that is proven to be very useful. The customer support is also very good in responding and providing solutions to system crashes or pulling out our data. The whole coordination is being done seamlessly and you will never feel that they are actually supporting you from German. Improvement of UI that is not easier to use but hard to say because I rarely use to tool. Pros: When set up correctly, it does provide attribution data...but there must be a better way! Overall: It's a necessary evil when you need attribution data. There are others, but most of our partners use Adjust. I really don't like the UI where you must click on an item a second time to get it to go away. It's difficult to learn and even the best / most experienced engineers seem to set it up wrong. Be ready to reach out to support if you're new to the platform as they are good. Overall: Really looking forward to see how powerful this thing is. Pros: As a person trying to utilize mobile application marketing and integrate it to a small business, I have encountered quite a lot of software and most of them end up not being clear. 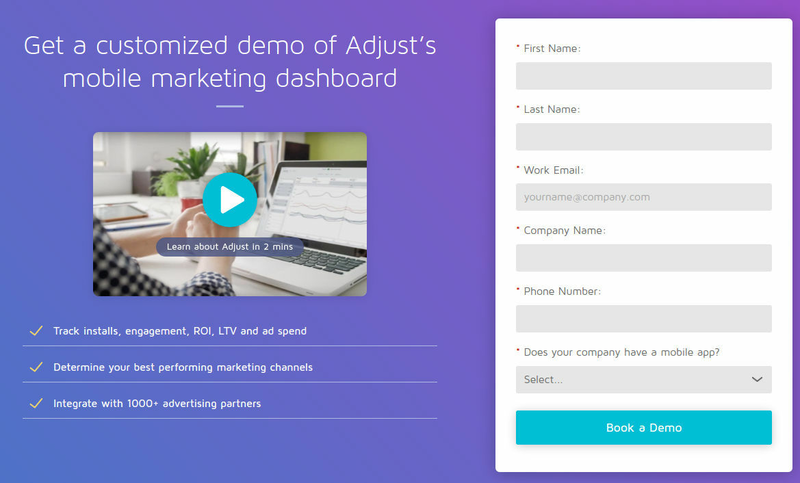 Adjust offers me a clean, intuitive end user experience wherein I can put in the marketing campaigns I already have and monitor the analysis. What I like about it is that it works with any third party campaign source channels, like Google, Snapchat, SoundCloud etc, and see which is the most beneficial to me cost/expenditure wise in acquiring new users. I can track the real time user behavior within my application with visualizations and follow any in-app microtransactions or subscriptions made by the user. Moreover, Adjust helps with fraudulent user detection, so the numbers are accurate and reliable helping me make better business decisions. Overall, I am by no means an expert in this field, and if it seems to be working for me by increasing productivity and savings, I recommend interested people give this a go. Cons: Nothing, it is great so far. Customer support is also good. When looking for a specific campaign it's complicated to find it because the search bar does not have the best capabilities. Does not have any tool/report to find untracked campaigns. Overall: Adjust is a great mobile tracking software. Lacks the ability to do web attribution, so the only customer journey contacts you will see are mobile ones. "quick service, many integrations, straightforward product"